Lionel “Bian” Augustus Pitts was born in Belize City, Belize on November 29, 1928. He was the fourth born of twelve children to the late Roderick Augustus and Ethlin Figina Neal Pitts. Lionel and Sylvia Eleanor Jean Tiabo were married for 64 years. From this union they were blessed with three children. After 90 years on this earth he passed in peace on April 1, 2019 in Evanston, IL. He attended Wesley primary school then went on to Wesley College in Belize, where he graduated in 1950. He was later awarded a scholarship to The University of The West Indies; there he became certified in social welfare and community development. He was also a member of the British Honduras Volunteer Guard for over 20 years, where he rose to the ranks of sergeant. As well as becoming the first almoner of the Belize City Hospital as a medical records officer. Bian worked at Northwestern University and retired after 45 years. Lionel was a proud Belizean and was honored to blow the bugle for the funeral of King George VI and for the coronation of her Majesty the Queen. He was also the Grand Marshall in the 2014 celebration of Belize 216th anniversary of The Battle of St. George’s Caye.He immigrated to the United States in the late 60’s and was very active in his community of Evanston Illinois. 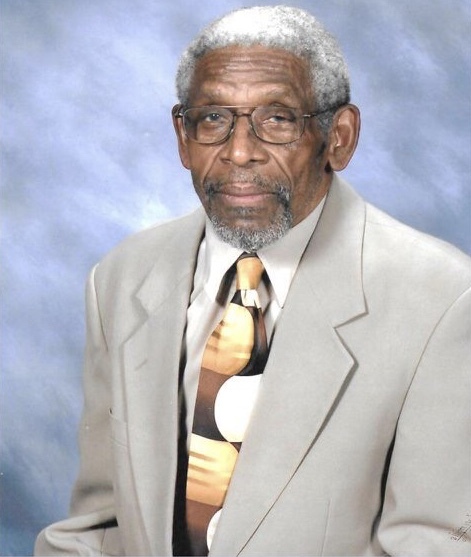 A fervent Methodist, he was a member of Hemenway United Methodist church for over 50 years. He served on the Board of Trustees at his beloved church until the very end. Some of his many accolades include being a founding member and member of the following organizations: Loyal and Patriotic order of The Baymen, Secretary of The St. Georges Caye Day Celebration, Secretary of The Belize Blood Bank, The Bob Reneau Dance Troupe, The Bob Reneau Crown Players Theater Group, The Belize Mother’s Day celebration Comittee, Hemmenway U. M. Fathers’s Day Committee, the Chicago Belizean Health Care Organization, Food Assistance Center of Evanston and, Representative of the Belize and Commonwealth Games Association. He also received many Awards: Concerned Belizeans Inc. award, Make a difference award, Honorary Cook County Deputy Treasurer award, Cultural Association (for keeping the Belizean culture alive in the USA) award, Belizean Image Ward International award, Evanston Interfaith Action Council (vision Keeper for Hemenway UMC award, Father of the year (Hemenway UMC) award. Lionel was most proud of his family. He is preceded in death by his brothers: Randolph Augustus, Harold Augustus, Edward Augustus and Bernard Augustus, and sisters: Kathleen Augusta, Sylvia Augusta and Yvonne Augusta. He is survived by four living siblings, three sisters Erica Stella Augusta Ledlon, Norma Olga Augusta Nembhard and Haidee Megan Augusta Pitts and a brother Wesley “Bede” Augustus Pitts Sr., and sister-in-laws: Myrna Pitts, Valda Pitts, Rosita Pitts and Sonia Tiabo. Lionel was father to three children, Ethlyn Mae Augusta Pitts-Senecal (Jean-Claude Senecal) , Linsford Dean Augustus Pitts (Ann Smith Pitts), and Barbara Valeria Augusta Pitts (deceased). He was a father to Lim Olivera, Wayne Tiabo, and Jacqueline Tiabo. He was loved by his grandchildren Lonnie, Shannon (Karli), Darwin, Brandy (deceased), Chantal, Anthony, and Darnell. He is also survived by 19 great-grandchildren, and one great-great grandchild, a host of nieces and nephews, cousins, and countless friends.